Applying general chiropractic principles to all the joints in the body makes practice supremely interesting and challenging. Greetings and blessings at the start of 2016. We've just successfully completed another orbit of the sun, making up nearly 1000 million kilometres, travelling at about 100,000 km/hour. This newsletter is in part committed to making sure you enjoy a good many more journeys around Mr Golden Sun, as my grandchildren call him. We are all couch potatoes in effect, but you can make miniscule differences to your speed, but greatly affecting how many more orbits you'll be making! How fast you walk, and how often, is directly related to how long you will live; and whether you'll lose your marbles or not. But walking fast does come with its downside sometimes. Applying general chiropractic principles to the joints of the hand, or the shoulder perhaps, is fun for the DC who spends most of his time adjusting the spine. The principles are the same. The joint must move, or it'll become arthritic. Diet is fundamental or the cartilage won't heal. Ligaments that have been sprained by injury must be gently stretched and mobilised. Muscles and tendons that have been strained must be exercised. During the long years of study, your chiropractor would have learned many orthopaedic tests for the larger joints of the body; the knee or elbow for example. And yes there are tests for the wrist and the ankle, but the chances are he or she has made little specific study of the six joints surrounding the cuboid bone in the foot, or the little joints in the fingers. I certainly didn't some 35 years ago. Applying general chiropractic principles to these lesser known, but equally important joints is also paramount, with perhaps one difference. 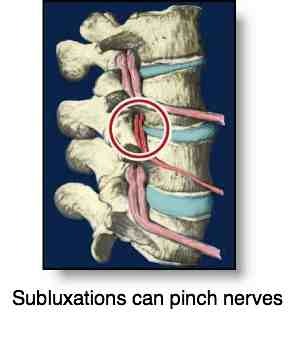 Subluxations of the fingers or feet won't affect any large nerve roots passing close by as happens in the spine. So, you have been consulting a chiropractor for several years for headaches, let's say. Most of them come from a problem in either the upper cervical spine or the jaw joints. He or she has treated you well, and you're taking perhaps a quarter of the pills you once swallowed, and you have a regular consultation every month or two. Then you are striding it out and take a tumble in the carpark, break your glasses which gives you a nasty gash on the face, and you bleed like a stuck pig. You are shaken, but some kind soul takes you to the doctor who cleans up the mess, perhaps gives you a few stitches and all is well. Only when you get home, you discover you have a small graze on your hand, and a couple of joints are a bit swollen. Then you remember, hazily because it all happened so fast, that in falling you tried to break your fall and landed on the back of your hand and something happened to the fingers, though you're not really sure what. Perhaps the pain goes away, but maybe it doesn't. Your friendly chiropractor is as well placed as anyone, except perhaps an orthopaedic surgeon who works only with hands, but it doesn't seem serious enough to consult a specialist, even though your doctor's anti inflammatory pills haven't helped. But after two months, your hand is still swollen, it wakes you at night, you can't use scissors or a garden trowel and it's making you miserable. Mrs B is the inspiration for this newsletter. She phoned me this morning to tell me that her hand is fine, after five sessions of applying general chiropractic principles to her fingers; and that she's still baking her own bread every other day, same as I do. She is a 72 year old woman, fit and healthy and a gardener of note, only a few months ago she took just such a fall, and after two months still couldn't use the secateurs or open a milk bottle; that's enough to make any person miserable. It happens frequently in health care; the messy and obvious is well cared for but the less apparent, and seemingly less important conditions are missed, or neglected, and sometimes can have serious consequences. In fact the injury to her hand was far more important than the cut to her face. It's why general screening tests for blood pressure, cholesterol, blood sugar and the like are important. Did you know that 50% of diabetics are hiking the streets undiagnosed; walking time bombs. Have your finger pricked today at the pharmacy; it's so simple. Back to Mrs B. There was really not much to be seen; very slight swelling of two joints between her index and middle fingers and her hand; the so-called MC-P joints. But applying general chiropractic principles soon elicited that the range of motion of those two joints was quite limited; she couldn't close her hand completely, especially in the morning, and isometric testing found distinct signs of strain of tiny muscles in the fingers called the interossei that spread the fingers and squeeze them together. In all honesty, I'd never seen such an injury in 35 years of practice, but I applied our basic chiropractic principles of an injury to any joint; after only two treatments she declared that her hand was 60% less painful and she could again open the milk bottle. Read more if you are interested at index finger sprain. The 50 percent less pain rule played a part. But my real point is not the specifics of this case, but that if you have an unusual problem, and it's not resolving of itself, like pain in the hand, or foot, or breastbone... visit your chiropractor. More than likely he or she can do a little miracle there too. The longer you leave these things the more difficult it gets. 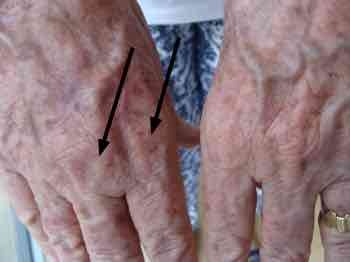 Chronic inflammation sets in, immobilisation arthritis stiffens the joint, perhaps permanently and can make you miserable and quite disabled; two little sprained joints and she couldn't garden or sew. Mrs B was lucky; after five treatments some two months ago, she is fine. Omega-3 fatty acids come in three forms, one of vegetable origin, and the other two from animal fat, principally that from cold water fish like salmon, though there is a little in butter, for example. I alluded above to the fact that cartilage won't heal properly without proper nutrition. There is strong research that shows the inflammation in your body is directly related to how much omega-3 you are getting in your diet. If you have pain in many muscles and joints in your body, then the first question should always be, just how much fatty fish, flax seed and walnuts are you eating. If the answer is virtually none, then you can expect to have pain and, worse, inflamed blood vessels; that means heart disease and stroke. Read more at anti inflammatory omega 3 if you are interested in these three important fatty acids, and their influence on your general health. Laziness, I fear is one of the most potent reasons why our health is slipping so badly in Western nations. And I'm not talking about exercise, but that is indeed part of the problem. Laziness means we couldn't be bothered to cook fatty fish or grind flax seed; we'd rather swallow capsules, knowing full well that it's not the same as healthy choice food. Rather than squeeze fresh orange juice, we're happy to take vitamin C tablets and drink OJ, but the research is that OJ has less than a third of vitamin C in your own juice, much less calcium and a whole lot of other beneficial phytochemicals; and is moderately glycemic, read fattening. Interestingly the GI of freshly squeezed orange juice is a whole 10 points lower; that's a lot. It means buying hummus, loaded with chemicals because it goes off so quickly, when it takes only five minutes to make your own. I could go on; five minutes to bake your own bread, a ten minute walk in the garden to pick fresh lettuce and parsley, spring onions and sweet basil. Laziness; 'I don't have the time, or I couldn't be bothered.' Well, plan to spend far more time and money at the doctor and chiropractor, not to mention the pain of joint cartilage that won't heal, and muscles crying out for more omega-3, and angry blood vessels threatening to knock years off your life; that will bother you! Yes, I'm a health nut; an extremist. It's because I don't like pain in my own body and I'm sad when I see my patients suffering unnecessarily. 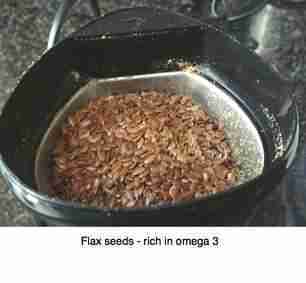 A huge step forward would be to buy a little blender and a large packet of flax seed; it's cheap. Add a tablespoon a day to your muesli; and to your children's. They'll behave better with less attention deficit; dinkum, research proves it. Mrs B and I talked about bread making; she bought a breadmachine, asked me for a lesson and is now making her own loaf, using healthy flour, and no chemicals. Our low GI bread is full of interesting goodies that lower the glycemic index significantly, read make it less fattening. Mrs B could even now use her fingers to perform in the Angel City Chorale rendering of Toto's Africa; take five, this is stunning and not to be missed. One of the things I love about chiropractic is the time it creates whilst working on a neck, or a hand, to find out what makes people tick. Whilst they come to you for healing of their aches and pains, sometimes you are the one who receives inspiration. Mrs B is indeed one of those persons who is a work of art in the making, with only a few deft blows with the hammer and chisel left to finish the masterpiece. For those who love to read as I do, Mary Hoffman tells the tale of Michelangelo's creation of David in an inspiring and beautiful way; the best book I've read in the last few months. The statue is an inspiration to every chiropractor; google it. She's a much better writer than Bernard Preston, I fear, but if you are looking for inspiring chiropractic reading, you'll enjoy Stones in my Clog too. Download it instantly onto your Kindle or tablet. It's cheap, but a rich book, I think! Return from applying general chiropractic principles to chiropractic help home page. That's it for this, the first month in 2016. My new year's resolution is to send out more of these newsletters. May I have the temerity to suggest yours could be to purchase a packet of flax seeds and a little blender? 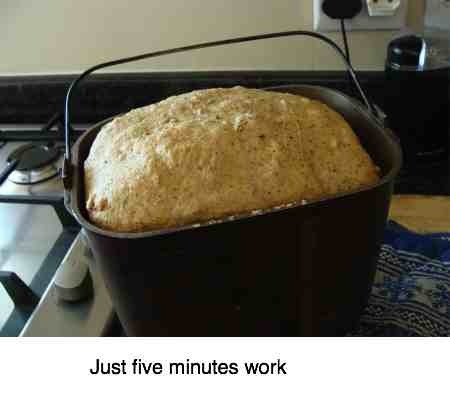 Spin enough for three days, and keep it in the fridge; it takes about 15 seconds. Make your own bread? PS. Feel free to forward this to family and friends, your chiropractor and even your medical doctor! You can support this site by purchasing one of Bernard Preston's chiropractic books. Dirt cheap on you Kindle, tablet or smartphone.